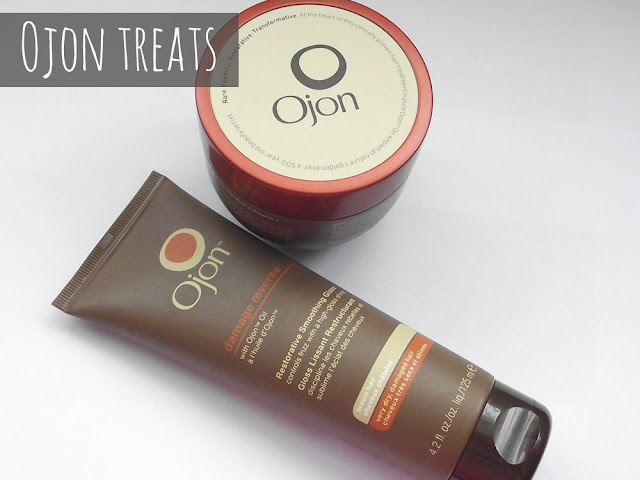 I've been using Ojon for a while now and think their haircare products are second to none and can't recommend them enough to family and friends. There's 2 new products which I've not tried before and had the chance to try them. If you've heard of Ojon, you may well have heard of their best-selling Damage Reverse Restorative Hair Treatment. A great treatment for dry damaged dull hair which needs some life. This is great for getting that healthy shine and look. The original treatment does have a strong earthy scent which some may feel is a little unpleasant. Think strong cocoa and maybe coffee mixed together. I've come to like it and it doesn't bother me. However if it does bother you and you've tried the original you'll be pleased to know they've now made the same formulation into a lighter scent. If you haven't tried the Restorative Treatment you may want to opt for the lighter scent option first. As you can probably tell from the image above the treatment is not like your typical hair masque. This is a solid treatment which you scoop out and warm between your hands/fingertips transforming the solid into a rich oil. Then massage into the scalp working your way through to the ends for extra treatment. If you've used solid coconut oil this is very similar in formulation and texture. However in the ingredients are different.You leave this on for minimum of 20minutes but you can leave it overnight for a more intense treatment. But I would suggest you place an old towel over your pillow case or maybe pop your hair up in a shower cap or hair turban. The Restorative Smoothing Gloss has become a favourite of mine, I love the theory behind it and haven't come across another product like it. This is a multi-use product helping to smooth and detangle hair, whilst infusing hair with a high gloss shine. The formula is a rich brown colour, It doesn't stain or change the colour of your hair but enhance the colour of the hair. Being a Brunette I opted for the brown hair version. There's a blonde and red version and also one suitable for all hair types. I apply a £1 size amount through damp hair and then continue to blow dry or leave to dry naturally. Special ingredients such as Macadamia Oil, Murumuru Butter and Wheat Protein help seal frayed cuticles and smooth frizz to create silky smooth shiny hair. Would these be products which you would use? Have you tried Ojon?